– A lot of keyword variations. If the chosen niche allows you to use a lot of different keywords, creating quality content to attract your target business leads won’t become such a chore. For better success, hiring an expert lead generation firm that is knowledgeable in content marketing that would surely improve the results of your sales leads generation campaign. Furthermore, a diverse set of keywords to choose from will significantly improve your inbound marketing campaign because it helps your company website show up in long tail search queries and become more visible on search engines. – Keywords that have high monthly search volume (at least on Google, but ideally on other search engines as well). Unless a set of keywords has a high monthly search volume, it wouldn’t be a very profitable niche to explore. Keywords that have high search volume—especially for keywords of intent—mean that there is a real need in the market that you can provide a solution to. This also leads to more successful b2b appointment setting campaigns due to the large number of queries. A low competition rate for a set of keywords mean that you will have a better chance of getting business appointments with your target b2b sales leads because there are few other service providers offering similar services to yours. Utilizing a well-targeted b2b telemarketing campaign will also result in high quality business sales leads for your business that would be much easier to convert. Last but absolutely not the least, you have to make sure that the niche you choose is one that you are truly passionate about, or at least, one that you can easily maintain creating content for until the next decade or so. 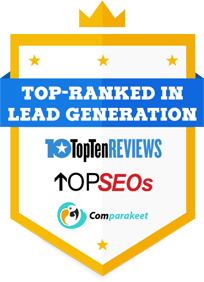 There are free applications available to help you choose the best niche market to do business in, but for the best and most comprehensive report regarding your chosen niche, it is best to hire an experienced b2b lead generation company. These firms employ SEO specialists who will help you gauge the suitability of your market. Furthermore, you will have easy access to a complete team of lead generation specialists skilled in using various marketing methods. The secret to successful business to business telemarketing – be yourself! At first blush, cold calling a perfect stranger might seem very anonymous and quite unfriendly. But, you can easily “warm-up” your cold calling sessions by putting more of your personality, and your natural, everyday self into the exchange. Injecting more of your own, unique energy and style into a cold call can make your sales lead telemarketing efforts much more profitable. If you are willing to disclose a little of your true self in these communications to get telemarketing leads, you can make these calls fun and even interesting. As a result, you’ll tend to end calls less quickly and have a better chance to meet your cold calling objectives. As is so often the case in other forms of communication, the reluctance (such as fear of public speaking, writer’s bloc or introducing yourself to strangers), to disclose more of your inner-self in cold calls is almost always based on a lack of confidence in your own value. Only feedback from the real world that corrects this mistaken belief will give you the self-acceptance that will encourage more such self-expression. So why not try it? You can and should freshen up sales lead telemarketing with your own spontaneous observations and comments. I find that telemarketers can significantly increase their productivity if they would simply add more of their own thoughts, feelings, inner-promptings, and even one-liner comments in to their calls. Of course, these add-ons need to be germane to the topic and move the conversation forward– so that you don’t undercut the purpose of the call. The big payback for you is that your business to business telemarketing services can become more fun and less boring. But perhaps even more important is what it does for your interest and commitment level. If a call is more of a personal expression for you and less of a rote enactment of an impersonal script, you are likely to get more telemarketing leads. More cold calls allow you to identify more contacts, develop more qualified leads, and ultimately make more sales!